Joe Piscitelli, a sales associate in the Coldwell Banker Residential Brokerage Milford office, was recently ranked as the company's No. 1 sales associate in New Haven County in 2011. He has received this ranking for 15 consecutive years. Piscitelli works with home buyers and sellers in Guilford, Branford, Madison, Westbrook, Clinton, Old Saybrook, Milford, East Haven, Essex, Deep River, and Old Lyme. Piscitelli was also recognized with the Coldwell Banker International President's Elite award, an honor presented to the top two percent of approximately 85,000 sales associates worldwide in the Coldwell Banker system. 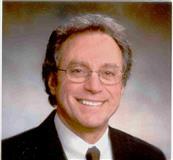 "Joe is respected by his clients and colleagues for his dedication and expert negotiation skills. 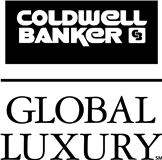 His unwavering commitment to the real estate profession is admirable, and he is a tremendous asset to the Coldwell Banker Residential Brokerage team," said Cathleen Smith, president of Coldwell Banker Residential Brokerage in Connecticut and Westchester County, New York. "It is no surprise that Joe's achievements have earned him the International President's Elite award. Joe is incredibly passionate about real estate, and has established himself as a trusted real estate adviser to a loyal client base," said Rena Plank, manager of the Coldwell Banker Residential Brokerage Milford office. A Branford resident for nearly 30 years, Piscitelli is involved with organizations such as the Branford Land Trust, the Guilford Land Conservation Trust, Shoreline Arts Alliance, and Green Trail.